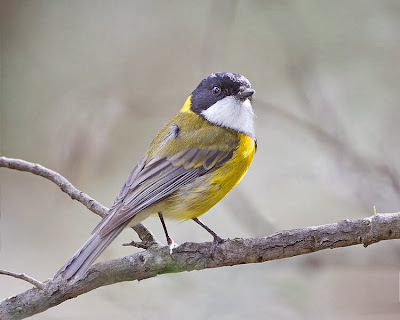 Male golden whistler Pachycephala pectoralis, photographed by J. J. Harrison. The Pachycephalidae includes the whistlers and shrike-thrushes, stout-bodied insectivorous birds found in Australasia and southeast Asia. In its current circumscription, the group is primarily supported by molecular data. See also: Whistling for whistlers.